But if you have these international measurements try everything to get into a great agency in order to have best chances to make it into the high fashion industry. You need perfect measurements, but does it all come down to this? Yes, exactly. Perfect proportions, perfect height and slim shape will make the difference. The classy model career of which every new face dreams of always comes down to height. There are just a few exceptions; maybe one out of thousand, and her/his feature is a unique look that makes her/him get it. 999 will fail. For international clients it is important that the height and measurements suit them. Everybody knows supermodel Kate Moss. She has everything: a unique look, charisma and is very into her work. Additionally, she lives a very entertaining private life for the media and delivers the perfect story. Every modelling agency would be happy to get such a diamond. But for most of the models, following rule applies: your career will come down to your height. By means of requirements of typical clients, you will see how measurements are expected in United States. What does a typical German client expects when he is looking for a model? I will later give you an insight into a model agency! 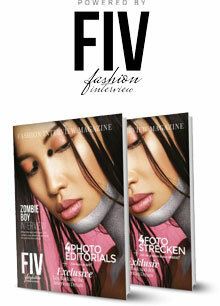 Model scouts and bookers will look at inter-competition of new faces when we receive client requests. You see how huge the influence of measurements is for the final decision? But measurements are not set randomly – they represent the respective average of society. Therefore, we do have a maximum and a minimum, for example with height. Women have to be at least ten cm smaller than men. And here we get the perfect height for men. Clothing size will be set regarding “elegance”. In order to make the garments look good, fabrics and patterns have to float freely – and a slim body is the perfect canvas for that. Let us look at “elegance”. The shape of a model is important to designers and her/his agencies, as it will present the elegance of a product. Clothing just looks better and more elegant worn by slim bodies. Proportions of the model have to be on point and will make the overall image of the presentation perfect. It doesn’t matter if it is a fashion show, a billboard or a TV commercial. We all heard about the famous “dream measurements” of 90-60-90 (hips/waist/bust). These three measurements are ideal if they are in proportion to the height. As a high fashion model in Milan or Paris they even might be too much. Your hips can be slimmer as a new face and also your bust. An 87-58-82 has good chances at castings in fashion capitals like New York or Shanghai. For male models, I added a subchapter and we will come to the special requirements for male models in commercials. But for now lets just stay with the ideal measurements for women. If you are a female model and below 175 cm you will not have huge chances at castings for big designers. There are only a few exceptions. If you want to make a living out of modeling, you need bookings and not exceptions. For online shops, labels and commercials in your national market, as I already wrote, you will still have a chance with the right agency and a good book. You will get jobs and therefore, even as a smaller model it is important to take care of your fitness, keep a healthy diet and your own proportions. For example, if a model represents a product the height is not important anymore (as there are no visible variations between the heights). If proportions are right, which means if you are below 175 cm, you can have less than 90-60-90, the entire image is good. But PR and commercial agencies know that shorter models tend to get booked less and the payment is less. The more you fit into the image taller and more attractive, the easier it will be for you to get jobs. As there is a minimum for your height there is also a maximum. Female models above 181 cm will experience it more difficult to get jobs regarding the long run. On one hand you are taller than your fellow models, and sometimes you are even taller than the male models. Wearing high heels you are easily taller than most of the male models with a height of 187 cm. Even on the runway. The fashion collections are produced for the presentation at fashion weeks in a certain size (usually for clothing size 34, max. 34/36) and a height of 176-180 cm. Designers, teams and producers will have to change every garment if a model does not fit in the “norm” or would have to book all models taller so that the entire image is fine again. These are just two factors to describe why a certain height makes it difficult to model. The international rules of the fashion industry are stricter, as I already said. Instead of 90-60-90, they prefer 87-58-82 and that with a height of 176-180 cm. Fashion designers and agencies will consider presenting the products as perfect as possible when they are looking for their models. Fashion has to be presented in an elegant way! Even more affordable brands always try to reach the level of high-end fashion in their advertisement. Whether exclusive or international label or startup: the model has to have a slim body so that the garments suit her/him perfectly. The more expensive and exclusive the product seems to be in the advertising for consumers, the easier it is to reach a higher price for the product or service. On the other side, that is a plus for you as model, because you can sell products by your look and posing and may earn good money in doing so. Even smaller or single advertising campaigns, and even for new faces, are paid within the range from four to five figures. Not for an entire week but one day, and buyouts will be on top of that. Buyouts are usage rights for the use and publication of images. Before you put all your time into applications and finding an agency, let me advise you on which way you might want to go. Which goals are realistic and which agencies are suitable? We will talk about the different types of agencies later, but they can roughly be divided into three classes. They place their models in international campaigns, commercials and fashion. They expect perfect measurements, and in order to make it into a high fashion agency you will need the famous “total package”. Models for national commercials and fashion. Good measurements and being versatile are a must for commercials. Models for advertisements. Measurements are not that important, the focus is on types and characters, and the spark that you bring. Before we enter the world of high fashion and commercials, let us take a quick look at people agencies. If you have a lot of tattoos or a very edgy look, your plan should not be to make it into a high fashion agency but rather do commercials. If you don’t have perfect measurements, don’t waste your energy on working internationally but look for a great people agency. People agencies place their models in almost the same commercials as model agencies but they are more into advertising. The measurements are not as strict as on the international market and the fashion industry. It is more about the type and character, people that consumers can identify themselves with and not high fashion models. Every national market, whether it is United States, France, Italy, the USA or China comes alive because of advertisements: food, insurances, banks, cars and much more. 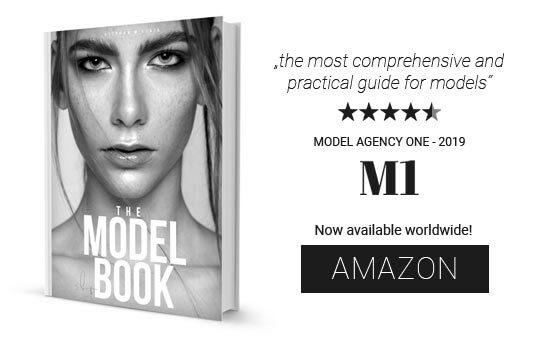 These markets are very profitable; therefore it is worth concentrating on agencies and a model book that suits you rather than going for high fashion. Los Angeles the city where the angeles live and many girls and boys with potential to be a model. 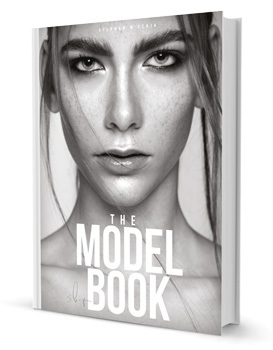 If you are one of them and ask yourself how you can become a model in L.A read our guide.